When Norma Yaeger acquired her New York Stock Exchange license in 1962, she didnt know of any other women in the industry. The Stock Exchange didnt even allow women to step foot on its floor. But having just escaped poverty in NYs Catskill Mountains, and determined to support her children, Norma wasnt going to let the exclusionary traditions of the financial industry stop her from becoming a stockbroker. During her long career she founded a mutual fund and two security brokerage firms that transacted millions of dollars of trades every day. She made fortunes and folded companies, all while raising five children. Persevering to achieve the work-home balance, Norma rose through the ranks of a male-dominated industry, opening the door for young women who would come up behind her. And while Norma opened the way for other women, the glass ceiling is still only cracked, not broken. She hopes that her story can be an inspiration to the women still pushing against it in all walks of life. This was a fantastic read. Yaeger tells you her life story, how she worked her way up in the financial world. Some parts tugged at my heart strings and other parts I found myself being her biggest cheerleader. I got an education about how women were treated in a man's job years ago. This was a very easy read and for this I give it 4 stars. Gwen did a little jump of joy as she exited the doors of Black Horse Publishing's imposing Georgian building. She could have squealed with happiness but had to be content with hugging herself tightly and grinning slightly manically. 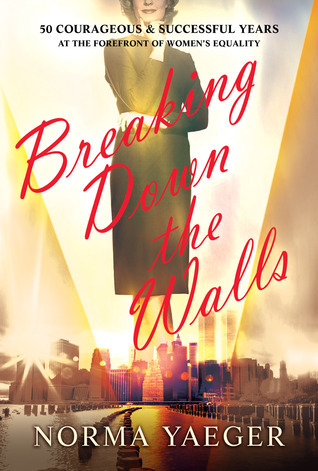 She just couldn't believe that she, Gwen Jones, had secured herself a three book deal with one of the best-known publishing houses in the country, and that they'd been so sympathetic about the situation with her mother. She almost didn't trust her own fantastic luck. But then, of course, it wasn't all luck; Gwen had worked incredibly hard to get to this point. For once in her life Gwen cursed the fact that she didn’t own a mobile as she searched for coins to use in a pay phone. She simply had to spread the good news. She really wanted to speak to her mother but she was usually asleep at this time and Gwen wouldn’t want to wake her. As she couldn't call her best friend Sarah, who’d be out picking her children up from nursery, the next obvious choice was her cousin, Sian, in whose flat she was staying whilst in London. Gwen ended up having to empty her bag out onto the pavement before she could find some change and the crumpled slip of paper on which she’d scribbled Sian’s mobile number as she left the flat that morning. Gwen's long brown hair shone as she bent down to search through her belongings. Her dark eyes danced with happiness. The fitted shirt, A-line skirt bought that morning especially for the meeting, and knee-high boots gave a good idea as to the toned body underneath. The shirt showed just a hint of cleavage as she leant forwards.Gwen didn't notice how many appreciative glances her slim figure received as she crouched down; and while she could never be described as classically beautiful, Gwen was certainly extremely pretty with a wholesome, homely charm. To the office workers leaving after a long day stuck behind their desks she was like a breath of fresh mountain air amongst the city smog. When Sian didn't answer her phone Gwen felt her feeling of elation come down a notch, but quickly ordered herself to stop being so silly; she’d be seeing Sian at the flat in only half an hour and she would call her mother to tell her the news before supper. As Gwen resumed her journey back to the apartment she became worried about losing her way and found herself frequently checking her whereabouts in the A to Z Sian had lent her. The London streets were certainly very different from Gwen's rural home in Wales. Gwen felt a little nervous walking around the busy city with so many people pushing past, all of them in such a hurry, and she thought back to leaving her home the day before. She’d sighed deeply when locking the door of the farmhouse that had been her family's home for many generations, and allowed herself one quick glance at the beautiful hills surrounding the house, hills which were as familiar and as dear as childhood friends. Gwen was anxious travelling to London alone; she'd never been to the city before and didn't like leaving her mother with no one to visit her, but when she'd explained that a well-known publishers were interested in her manuscript, her mother had insisted that Gwen go: "I would never forgive myself if you let such a wonderful opportunity slip through your fingers", she'd added. As she began to recognise landmarks and was confident she was going in the right direction, Gwen was able to relax a little and took her time strolling back to the flat, revelling in her own joy and replaying the meeting over and over in her head. She smiled to herself, remembering the first books she 'wrote' and presented to her mother and father when she was just six or seven. The only blot in her happiness was that her father hadn't lived long enough to see her published. Her mother would be thrilled though and, more important than any prestige that might come from being an author, was the help the money would be in dealing with her and her mother's very pressing financial problems. These money worries were the reason Gwen had been working practically non-stop for the last three months to get her manuscript ready to send out to publishers. It’d been the only thing she could think to do to raise enough money to buy her precious family home. 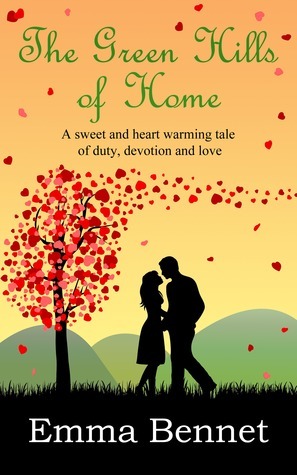 Gwen had been as devastated as her mother when they discovered their landlord's plan to sell the farmhouse, and all Gwen's efforts had been put into finding a way to save it. Gwen became so carried away in her thoughts that she almost walked straight into a very harassed looking woman pushing a pram at quite a dangerous pace. She came to and stepped out of the woman’s way only to crash into something else - the solid bulk of a perfectly proportioned man. Gwen dropped her bag in the collision, and stooping down to retrieve it, she heard the stranger sigh in exasperation as he did the same. Gwen looked up and locked eyes with the man. She was so taken aback by the intensity of his gaze that it took her a moment to gather her wits enough to murmur "So sorry". "It’s fine", replied the man as he passed her the purse that had fallen out of her bag. Gwen took the brief opportunity to examine him further: he was tall, certainly over six foot, with a strong physical presence projecting an aura of masculinity. He was dressed in a suit, but his jacket was open and Gwen could tell through his shirt that the body underneath was used to exercise. She took in his dark hair and was drawn back down to his deep chocolate brown eyes, the sort that Gwen could easily lose herself in given half a chance. Brooke Reynolds died in a car crash. Tragic accident, the police say. But her father Don Hoffman knows otherwise. And he wants Joe Hunter to find the men responsible. Joe is not convinced - until he is attacked by two troublemakers, and Don's other daughter is also threatened. Looks like more than coincidence. And sure enough, the entire family is soon under siege with only Joe to protect them. The ensuing blood bath is the beginning of a trail of death that leads right to the heart of a racist conspiracy. White supremacists want to hold the government to ransom; and they have got hold of a dirty bomb to add weight to their case. Joe is on countdown: can he stop the plotters before they reduce the free world to ashes? Matt Hilton worked for twenty-two years in private security and the police force in Cumbria. He is a 4th Dan blackbelt and coach in Ju-Jitsu. He lives in Cumbria with his wife and son. 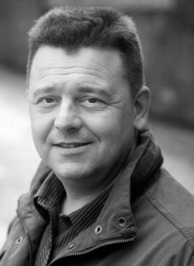 Matt is the author of the best-selling Joe Hunter thriller series, as well as standalone horror thrillers and short stories that have appeared in a number of collections and anthologies. Matt's first novel - Dead Men's Dust - was a Sunday Times best-seller and was shortlisted for the ITW New Novel Award 2009. A. My earliest influence was probably because my father used to tell me and my brothers wild, action-packed stories to entertain us, and I think I caught the bug of story telling from then. I recall having a vivid imagination as a child and would act out games and story lines and such, and that progressed to actually drawing or writing those tales down on paper. I can't think of a time in my youth where i wasn't writing, drawing or building models. I planned to make animated movies one day and would storyboard the movie on rolls of lining paper, or in notebooks and such. As I grew older (as in my teenage years) I progressed to writing short stories and attempted my first novel at about thirteen years old. Back then I was influenced by the books I was reading - many of them in the heroic fantasy genre - or books I could sneak from my dad's pile, books like Don Pendleton's 'Executioner', or an Alistair McLean adventure. My first real attempts were pastiches paying homage to the fictional characters I read, with my own original twist to them. Reading those books put me on to reading American thrillers, and I was a big fan of David Morrell, Robert Ludlum and Dead Koontz, and i began writing books blending their styles until i found my own unique voice. A. I love story, and I love story telling, and being in a position where I get to read and write for a living is my idea of heaven. Q. What is the toughest part of being an writer? A. You can't please everyone all of the time. I write out of the love of writing and sharing those tales with readers. It can be hurtful when someone who hasn't enjoyed the book attacks you in a personal manner, makes false assumptions, and tries to bring down your writing by way of vicious or vitriolic reviews. I know for a fact that some people will love or hate my work, and that's perfectly fine, but I don't believe there's any need for this kind of behaviour. Basically I came into the profession of writing wide eyed and naive, and have had to grow a thick skin. Nowadays i just shrug off the bad reviews, but it's something that any aspiring authors should prepare for. A. I worked most of my adult life in law enforcement, but it was never my vocation. I always wanted to be a writer. If I wasn't a writer, I think I'd still have to be creative in some way, perhaps working in TV/Movies or as a musician/singer. A. I'm a terrible procrastinator when I can get away with it, and have a very laid back nature, therefore a good title would be: Maybe I'll Do It Tomorrow. A. I've a number of favourite books and more so characters, but if I'd to choose only one - my desert island book - it would have to be Stephen King's 'The Stand'. It is epic, but it is the characters and the interplay between them that leaves me in awe. I wish I'd written that book. A. I struggle to find someone from a book that I'm like, but I'd probably be more the bumbling sidekick than any literary hero. My wife often tells me i remind her of Garfield the Cat, if that helps. A. Although I haven't got his style, or panache, I'm probably most like Joe Hunter and Rink's friend, Harvey Lucas. I'm more level headed and slower to action/violence than Joe Hunter is. A. I'd most like to take a heroic fantasy romp alongside Conan the Cimmerian, but I don't fancy my chances of getting out the other side unharmed. A. I love late Autumn/Fall. I love the early dark nights, the falling leaves, and especially when there is a full moon. I find it magical, and enjoy nothing better than getting away into the Scottish mountains just to sit in peace and absorb the ambience. I also love the eeriness and magical feeling around Halloween. A. To be honest I don't have much in put into my covers. They're designed by the publisher and I see them once the idea is set. 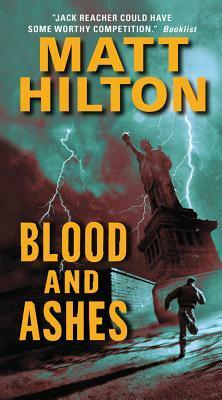 Saying that, I absolutely love the 'pulpy' feel my US publisher (William Morrow and Co/Harper Collins) have gone fore with my latest book, Blood and Ashes. It harks back to the style of book covers that attracted my attention when i was young and looking for action adventure. A. Some people might not see the funny side of this but I did. I visited St Louis to attend Bouchercon, the world mystery convention, and while there I joined Zoe Sharp, another British thriller author at a shooting range in order to further familiarise and test shoot guns I mention in my Joe Hunter series. Before heading off to the shooting range my wife gave me a look, and warned me not to shoot myself in the foot. Any way, while at the range, I got the opportunity to fire an MP5 submachine gun. Being safety conscious, I had on ear protectors and goggles. I fired the gun on single shot, then on three round bursts. I was then asked if i wanted to go fully auto to which I gleefully agreed. I let loose, only for the spent brass, which is incredibly hot to fly up in the air, land on my head and then slip down inside my goggles. I ended up with two red hot casings rattling around inside the goggles, burning my eyelids. Afterwards the instructor said the odds are a million to one to even get one shell inside your goggles, but I managed three in total. Wish I was as lucky when buying a lottery ticket. You can probably imagine the look I received from my wife when I arrived back at the hotel with two blistered eyes. A. Yes, I'm currently working on the next Joe Hunter thriller. This is book ten in the series. Over in the UK, publication is ahead of what you've seen in the USA. At present, book 5 is on the stands in the US, with book 6 - Dead Men's Harvest - due to be published late October this year. It's a tad confusing I know, but I'm well ahead in the writing of the books. I'm also working on a second novel, a stand alone, but whether or not this sees print any time soon is down to a healthy dose of luck. I'm hoping those three-million-to-one odds I beat at the shooting range goes my way this time. A. Yes, I'd just like to thank you all for taking time to read this interview, and hope that perhaps I've piqued your interest enough to perhaps go and check out one of my books. I'm not a literary writer, and won't win any major prizes. 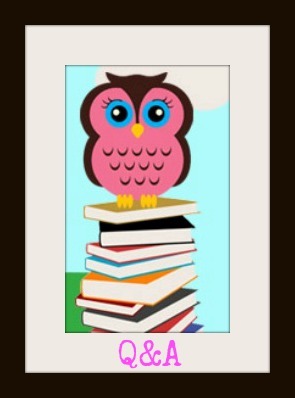 I write for pure enjoyment and hope it satisfies the need for enjoyment that a reader is also seeking. And please, if you like the books, I'm happy. But if you don't, please don't write nasty reviews - I'm kind of a gentle soul at heart. Oh, and don't take my last statement seriously. I'm also known to tell a joke or two at my own expense. Everyone knows that sunlight turns trolls to stone. What most people don't realize is that a single bubble of soda fizz can wake those violent, bickering creatures back up. When Colin Colbeck’s grandmother disappears, it’s up to him to journey into the deep to rescue her. 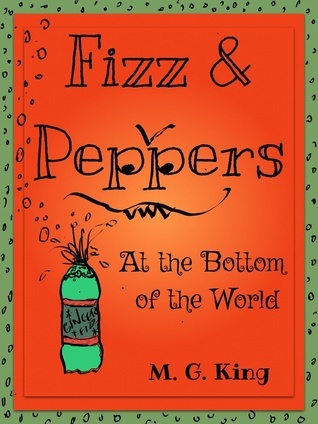 Followed by the most annoying girl in his class and a little brother who thinks he’s Super Spy Guy, Colin must find his way down to a city of trolls trying to adjust to the 21st century. Unfortunately, that includes a war that is about to cause an epic earthquake, and only Colin can stop it. War & Peace meets Where the Wild Things Are in this rocky adventure of friendship, bravery, and bringing home the ones you love. Ages 8 and up. First in a series by Carolyn Ridder Aspenson. This book is a chick lit novel with a paranormal element. When Angela's mother Fran dies and comes back as a ghost, Angela's ordinary life turns into a carnival show, starring both Angela and her nosy, dead mother. This is a great debut novel by Carolyn Aspenson. It is a witty, laughable, emotional roller coaster that will make your shed a few tears and make you really think about life. 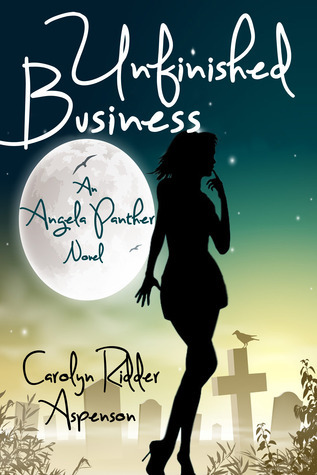 Angela's life is pretty simple until her mother comes back to haunt her from the after life. Things go from simple to chaotic throughout this tale. Carolyn does an awesome job in the telling of this story. I would recommend this book. I give it 4 stars. About the novella: What if Cupid fell out of love with love? Annelise is a Lost Cause. She runs a dating agency but her heart is colder than a penguin’s feet. She thinks love is about compatibility and has no time for passion. Can Cupid prove to St Valentine that he hasn’t lost his touch by melting Annelise’s heart? Or is it curtains for Cupid? 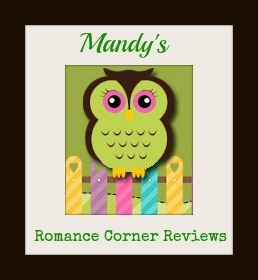 Mandy's Review: What happens when Cupid falls in love. Well if you want to find out then you will have to read this lovely book by Holly Hepburn. 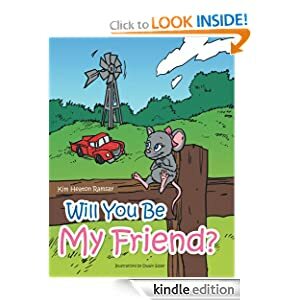 This was an adorable book, I read it in one afternoon. 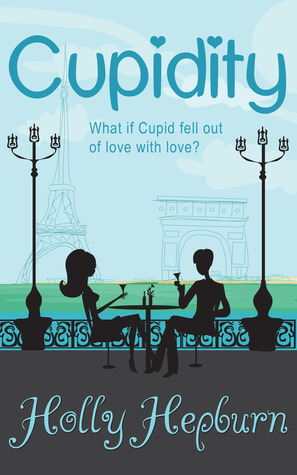 Cupid is sent to the modern world to help one of the Lost Causes, Annelise. If Cupid can not accomplish this task then he will lose his job. Can he accomplish this monumental task or is Annelise really a lost cause. You will have to find out for yourself. I really enjoyed this book, it is witty, charming, and warms your soul. This is a must read. I give it 5 stars. About the book: If there is one thing that seventeen-year-old Rain knows and knows well, it is survival. Caring for her little brother, Walker, who is "Touched," and losing the rest of her family to the same disease, Rain has long had to fend for herself on the bleak, dangerous streets of Earth City. When she looks to the stars, Rain sees escape and the only possible cure for Walker. And when a darkly handsome and mysterious captain named Johnny offers her passage to the Edge, Rain immediately boards his spaceship. Her only price: her "willingness." 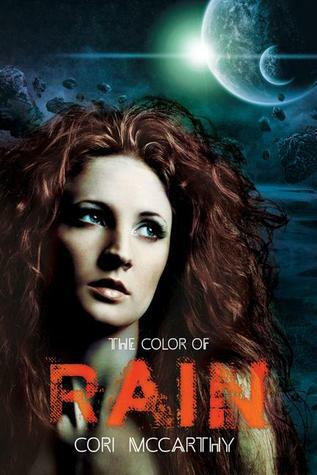 Mandy's Review: This book takes us into the future and the story of Rain White. Rain will do anything to help her brother find a way to deal with his disease. Cori McCarthy takes us on the journey of Rain's life as she fights for her brother's survival. This novel was gritty and riveting, an emotional roller coaster. The descriptions and flow of the story line kept me going until the wee hours of the morning to finish this book. I would recommend this book, it is really good. I give 4 stars. About the book: Calum Ranson is sure of three things: his cousin Finley is alive, Calum will find him, and no one knows Calum and his family are Sidhe. No one until Laurel shows up at his mother’s bookstore wearing a dark clan’s mark. Mandy's Review: Calum Ransom is trying to find his cousin Finley. 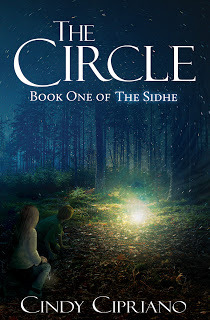 This story takes us into the world of Sidhe, faeries and magic. 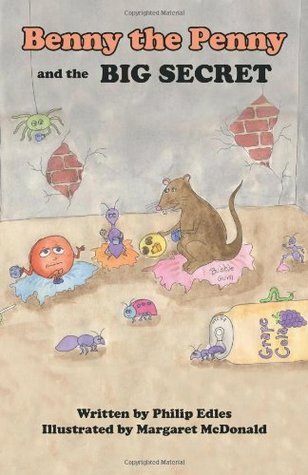 Cindy does a great job of weaving this tale to keep the readers entertained and engrossed in the story. This is a great YA book. I really enjoyed reading this book. I give it 4 stars. About the book: Peyton Lockhart and her sisters have inherited Bishops Cove, a small, luxurious oceanfront resort, but it comes with a condition: The girls must run the resort for one year and show a profitonly then will they own it.A graduate of a prestigious French culinary school, Peyton has just lost her job as a food critic. Out of work and in a bad place personally, a year doing something completely different sounds wonderful.There are countless challenges and too many people who want to stop the sisters from succeeding. Among them are Peytons contentious cousins, who are outraged that they didnt inherit the resort, as well as a powerful group of land developers who have been eyeing the coveted beachfront property.Its soon apparent to Peyton that their efforts are being sabotaged, but she refuses to let the threats scare heruntil shes nearly killed. She calls on her childhood friend and protector, Finn MacBain, now with the FBI, and asks for his help. He saved her life once; he can do it again.Julies previous two titles, The Ideal Man and Sweet Talk, both debuted at #2 on the New York Times bestseller list. Mandy's Review: Peyton Lockhart and her sisters have been given the task to run their uncle's resort in Florida for 1 year and then it is theirs. There is only one problem, well maybe more then one, and Peyton calls on Finn MacBain to help her out. Julie Garwood is a masterful story teller. I love the dominating men in her books, but I especially love Finn. There is just something about his protectiveness that draws me in. The twists and turns will keep you enthralled till the very end. I highly recommend this book. Julie Garwood is one of my go to authors. I give it 4 stars. Mandy's Review: I have been waiting for this book. We finally get to read Raven's story - what makes her tick, why the prickly exterior, what she is really like. Jonah Warner is the one man who can get through to the real Raven and oh what a tale it is. I absolutely love Lauren Dane; her writing is magical, real, emotional and entertaining. Raven is a character who has been present in many of Lauren's other books, so it is great to finally see the real Raven blossom to life. You can never go wrong with Lauren Dane. I give it 5 stars. Mandy's Review: Makayla does not like violence, can not stand it. So what is she doing helping her friend sell tickets at an underground fight event? Then she sees him, Torment - fighter, man, and owner of the underground club. What will happen next when these two collide. Sarah Castille does a fantastic job of bringing this story to life. Her words bring out the emotions of the story and the characters to life. I was completely engrossed in the book and could not put it down. A must read!!! I give it 5 stars. About the book: Kane 'Viper' Tepes is one of the oldest living descendants of Vlad III. Vampirism is in his blood. So is being the President of the Sons of Sangue. Those who break motorcycle club rules that protect their coven are dealt swift punishment. No exceptions. Until one pretty little detective has him compromising his beliefs, and endangering his position as head of the MC. Mandy's Review: Vampirism and a motorcycle club, plus a paranormal romance. What a combination. In this book we meet Kane Tepes (Viper) who is the head honcho of the motorcycle club and a Vlad. Women are turning up dead and drained in his town and he doesn't like it. Cara Brahnam is the lead detective on this case who also knows Viper from her past and she knows what he is. Patricia does an awesome job of writing this story and keep the reader hooked. It is an intriguing tale. It is a great book. I give it 4 stars. About the book: In the picturesque town of Serendipity, New York, three siblings have grown up in the shadow of their proud and respected police chief father. But what do love, fate, and fortune have in store for the next generation of Serendipity's finest? 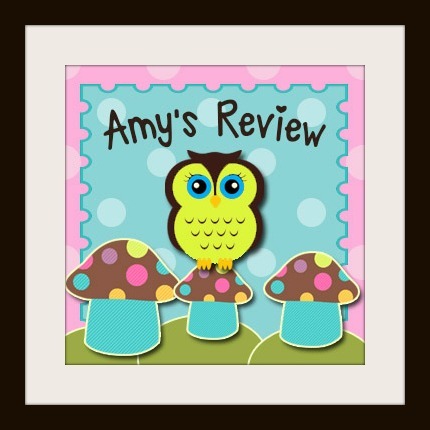 Mandy's Review: Here we are back in Serendipity, which is a wonderful place to be. Erin Marsden is a good girl and the ADA, Cole Sanders was the bad boy and just got out of a long term undercover assignment. When these two get together it is off the charts, but trouble is lurking around the corner. Carly Phillips is a brilliant author, she is one I always read because she never disappoints. This tale will keep you guessing and crave more. I love the way Erin and Cole come together and what they go through. You have to read this book, you can never go wrong with Carly. I give it 4 stars. Take a walk on the Prehistoric side with Dinosaurs 3D. 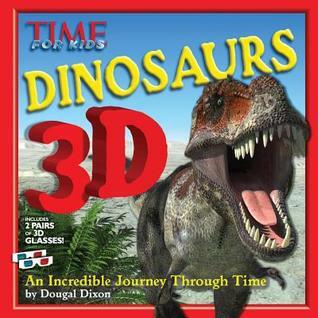 Brought to you by the editors of TIME For Kids magazine, this book of stunning 3D images shows dinosaurs as you've never seen them. From plant eaters to armored dinosaurs, the creatures seem to leap, crawl, stomp, and stampede off the pages and into your living room. The 3D photos are so eye-poppingly real, you'll think you've gone back in time! The book is packed with state-of-the art CGI artwork. No other dinosaur book comes close to delivering the impact of Dinosaurs 3D. Dinosaur lovers young and old will thrill to this marvelous 3D menagerie and the surprising and little-known facts and information about each creature and how they compare to today's animals! There are 2 pairs of glasses included in each book so you can invite a friend to come along on your adventure! Marley Mouse wants to make some new friends. During Marley's search she meets four kind creatures who are very different from her. Sweet Marley offers her friendship to each of them despite their differences and has lots of fun with her new friends. What a great story about becoming friends with others different from us. My kids really enjoyed this story and it sparked dialogue about characteristics that we love in our friends that are different from ourselves. I think that will will serves as a great book to kick off the new school year. 4 stars. Colorful and easy-to-read, What a Bank Can Do explores the fun and importance of saving money through its main characters Luke and Linda, who first learn with their toy banks and later with their own bank accounts. With rhyming verse-text, the book reminds children of “one thing that’s kind of simple…always save more than you spend…” To help tell its story, What a Bank Can Do also features bold, lively illustrations by Mike Kasun, a nationally recognized commercial artist. Read the book for FREE here! Shine is a children's book with a BIG difference. Designed to empower and encourage, this series of positive affirmations will have children smiling from ear to ear. 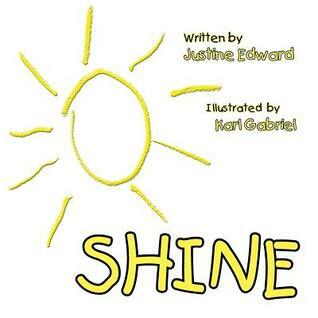 Illustrated by 7 yr old Karl Gabriel who has been diagnosed with Autism Spectrum Disorder, Shine helps all children to understand that anything is possible if they believe in themselves. Let your light SHINE! What a great message to kids. With the illustrations from the young artist, my son was sparked to start working on a book! His inner light is shining bright! A simple mantra for children, a great nightly bedtime story! 4 stars. Our children...shall they dream of flowers? Of ideas, generous, ripe, and transformative? If so, consider this hopeful tale, told through spare text and lyrical illustrations: Pedestrians go by a dilapidated house every day, too busy to give it any consideration. A unique fellow comes along, though, and imagines what it must have originally been like. Dazzled by the possibilities of restoration, he begins working on his vision. Bit by bit, the home regains its charm. People start to take notice, especially the kindred few who join his efforts. What had been crumbling and grey now bursts of light and color and flowers. To bring about such positive change, the book questions, "What is a bit of work, a bit of grime?" Benny the Penny and the Big Secret is a story within a story. It was Lillie's birthday, but instead of being happy, she was miserable. Her uncle Chris knew it, and he knew what to do. Christopher took Lillie to his coin room and showed her his most prized possession: a tarnished old penny he named Benny. Then Lillie's uncle showed her the story he wrote about Benny and what it means to be special- The Big Secret. Lillie read it, and it was exactly what she needed. You can read Uncle Chris's story too. It's right here in this book. 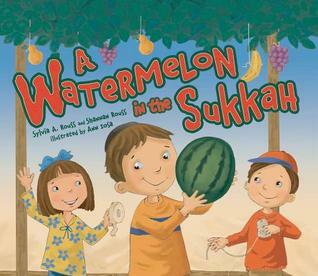 Note: Before reading these books I knew very little about the Jewish holidays or traditions. I was so grateful to Kar-Ben for supplying these titles to me and my family, so we can learn and enjoy stories from a new and different point of view! What a treat it has been! Curious about the Jewish holidays? 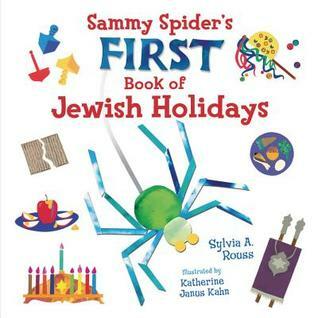 Very young readers learn about holiday customs with everyone's favorite inquisitive spider! A great way to introduce Jewish Holidays. 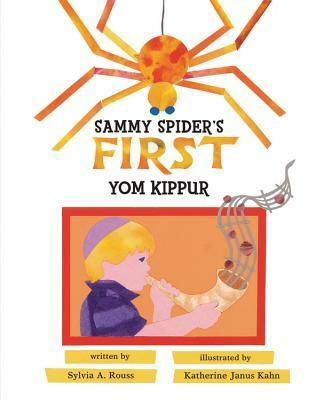 My family and I know very little about Jewish holidays and enjoyed this quick and cute read about the subject! 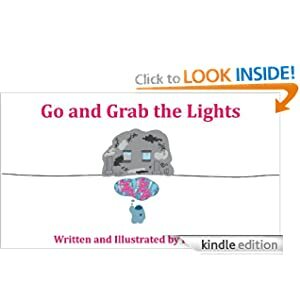 Great pictures, with simple messages...4 stars. 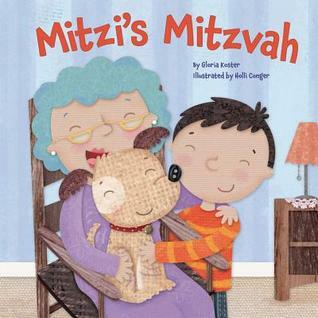 Adorable puppy Mitzi visits a nursing home where she helps the residents celebrate Rosh Hashanah, the Jewish New year. A cheerful puppy with a big heart and a lot of love to give on Rosh Hashanah. What an adorably illustrated book! 5 stars. All the children in Miss Sharon's class have brought their favorite fruits to decorate the sukkah. But when Michael brings a watermelon, the class must find a way to hang it! In the fourth Sesame Street title from Kar-Ben, Brosh can’t find his beloved blue cap and suspects his friends of taking it. 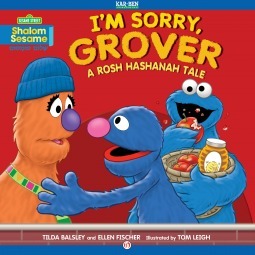 But when Grover finds and returns the lost item, Brosh is contrite, and glad that the High Holidays offer him a chance to say, “I’m sorry” to his friends. 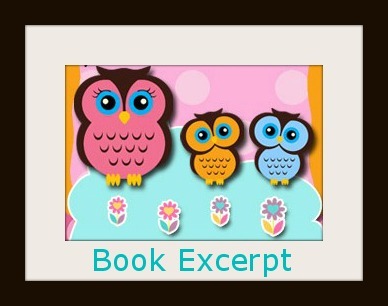 This ebook features read-along narration. With the Sesame gang there is nothing that cannot be fixed! 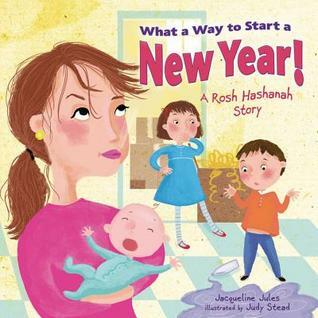 With the same great, lovable, and wonderful characters this story is a new way to introduce Rosh Hashanah and saying "I'm Sorry"...wonderful!! 5 stars! Beginning the New Year in a new city isn't easy, and it definitely isn't starting out very well for Dina and her family! But when they're welcomed by warm and generous hosts in their new community it becomes a very happy New Year for all. A story about being disappointed, but moving forward to celebrate the New Year in a new and different way, which turned out great! With beautiful and colorful installations, the story was so much more special! 4 stars! When Josh breaks the rules and plays ball indoors, he finds himself apologizing not only to his parents, but to Sammy Spider as well. A Yom Kippur story about saying, I'm sorry. I loved learning more about Yom Kippur, the Day of Atonement. What an interesting tradition and one with such an amazing message. The story is one that is great for children to understand and appreciate the message. 4 stars!